I keep telling people that I enjoyed my stay in Bali and I keep getting questions in return. Why? What's in Bali? If there's one reason why you should visit Bali, the answer is in that photo. We could always argue that we have a better sunset by the beach in Boracay, with the finest, white sand, but Bali makes up for it with its endearing, laid back and never-pretentious vibe. No permanent structure can be found on the wide stretch of sand, but vendors are allowed to pitch umbrellas, bring plastic chairs, and sell ice-cold Bintang from their ice boxes. The beach is separated from the streets and the restaurants by a tall, white wall, effectively isolating the beach from the rest of the traffic. Most restaurants have roofdecks facing the beach for people who want to see the sunset but do not want to get sand on their feet. Who does that anyway? 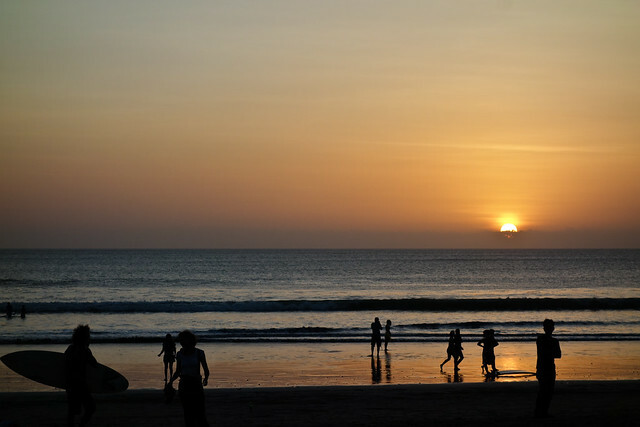 The best place to catch the sunset is by the beach, sitting on the sand, with a Bintang in hand. 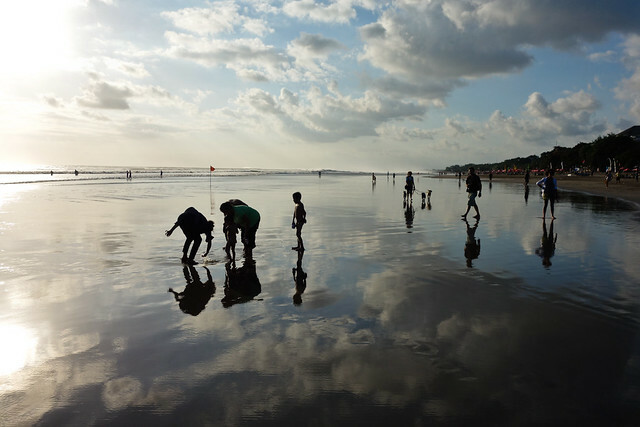 On the first afternoon that we spent on Kuta Beach, we luckily found a bunch of spirited Indonesians. The owner, together with his crew, lives in a hostel just like everyone else you meet on the road. The guy is from Jakarta but he moved recently to Bali after realizing that all life is not about money and possessions. He made the move after it dawned on him that he feels most at peace in Bali. My heart was glad when I heard him say that. This type of people, I call them the enlightened ones, never fail to awe me. Few people have realized this, and even fewer have done something about it. So we bought a couple of beers, waited for the sunset, and sat there until it was late. 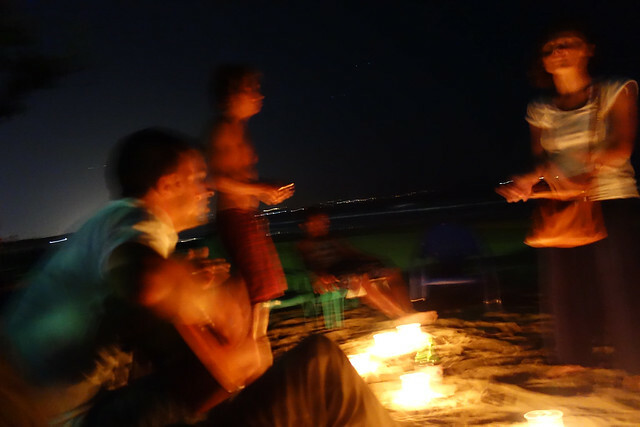 The night ended with candles and guitars and singing. My heart was soaring with unexplained calm and contentment. 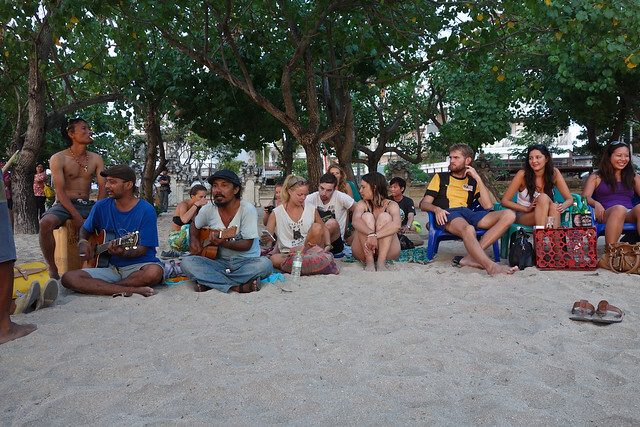 The next day, we went back to the same spot on the beach and found a huge gathering of people seated in a circle, taking turns in singing. They organized a cocktail afternoon, where everyone chips in cash and someone runs to get drinks from the grocery store. Add a little bit of mixing here and there and then there's cocktails for every one! 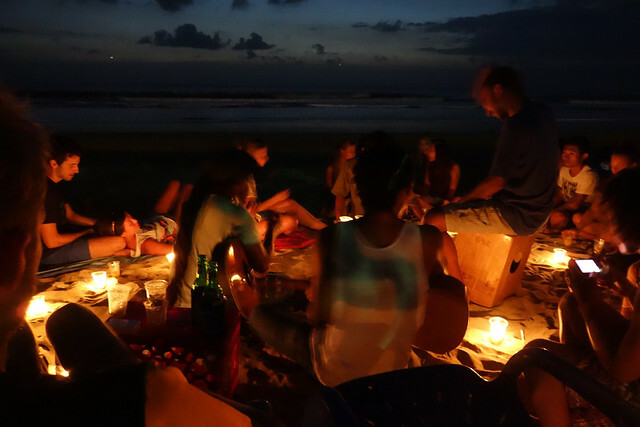 So from 7 people the previous night, the group ballooned to almost 30 people of different ages and races, sitting on the beach with candles on the sand, singing whatever song that comes to mind. I could go on forever about about my sunset experience in Bali, but my point here is that there are pockets of time when you feel sudden, arresting happiness and one of mine happened in Bali, by the beach, while watching the sunset and while singing random songs with people I barely know. I'm not saying that it will be the same experience for every one, nor am I saying that it won't. For some reason, the universe conspired, all became clear, and it happened to me. 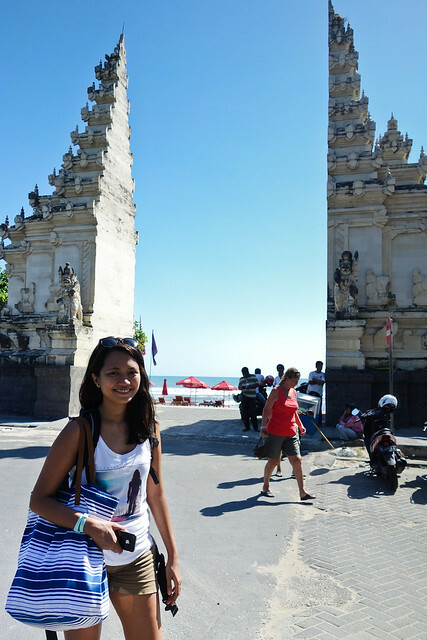 Bali has made me happier in a personal, beyond words kind of way. Because of that, I shall find my way back.